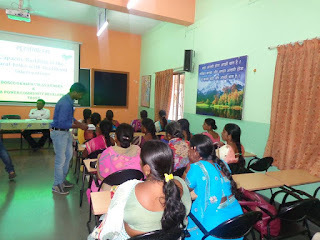 Bosco Gramin Vikas Kendra in collaboration with Tata Power Community Development Trust organized Entrepreneurship Development Programme for the Self Help Group women of six project villages (Mehekari, Devgaon, Ranjani, Agadgaon, Shanjapur and Pimpalgaon Kauda) from Ahmednagar District. 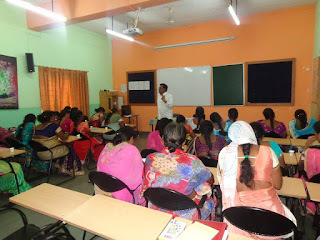 Altogether 30 enterprising women participated in the training programme. Mr. Shirshat from Rural Self Employment Training Institute (Central Bank of India) was the main resource person for this training programme. He explained to these women the Do’s and Don’ts of business. He highlighted on the topics such as skills needed in business, identifying needs of the market, selection of the business, importance of commitment, planning, technology and attitude one needs in developing business and how to avail seed capital from banks in order to start a business. 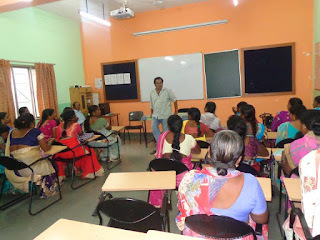 He also explained to the trainees various government schemes available for expansion of the business. 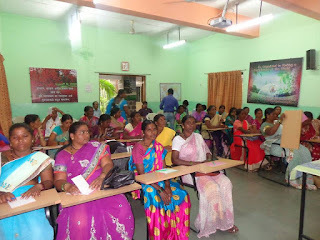 The women were very grateful to TPCDT and BGVK for organizing this EDP. They requested the organizations for their timely guidance and assured the organizations to engage in some business in the near future.